Écologie : Chemins, décombres, lieux arides, dans toute la France et en Corse. Ecology UK: abundant in disturbed waste ground in lowland parts of the British Isles. 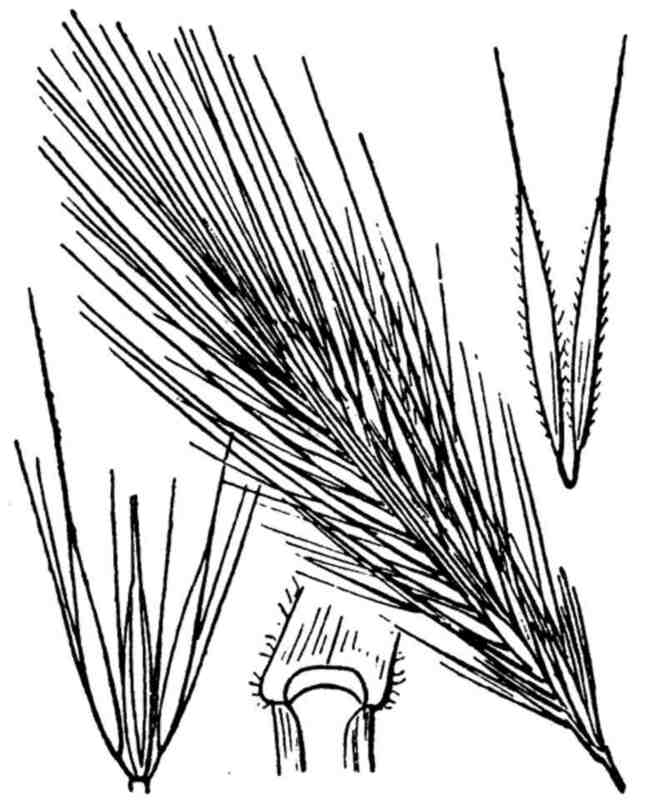 Flowers: Spikelets 16-30 mm long, including awn, in threes, the outer male or barren and stalked, the central one bisexual, its glumes subulate and rather larger; glumes of central flower subulate, 1-nerved, fringed with bristles, the apex terminated by a long, rough awn, 10-12 mm long; lemma 10 mm long excluding awn, lanceolate, rounded on the back, 5-nerved, with a rough apex, attenuated into a long, rough awn 18-50 mm long; palea as long as lemma, the two keels smooth; anther 0.7 - 1.2 mm long. Leaves: 2-8 mm wide, loosely hairy, flat, base with narrow, spreading auricles; ligule up to 1 mm long, collar-like. Fruit: Seed 6 mm long, ellipsoid, hairy at tip, pale yellow, with central furrow.